The New York Times is reporting that, in a Speech today, the President will call for new icebreakers for the Coast Guard including accelerating the one currently planned and for additional icebreakers beyond that. “The aging Coast Guard fleet is not keeping pace with the challenge, the administration acknowledged, noting that the service has the equivalent of just two “fully functional” heavy icebreakers at its disposal, down from seven during World War II. Russia, by contrast, has 41 of the vessels, with plans for 11 more. China unveiled a refurbished icebreaker in 2012 and is building another. Hopefully these WAGBs and the rumored additional National Security will move the perception of what is a normal AC&I budget closer to a realistic level. 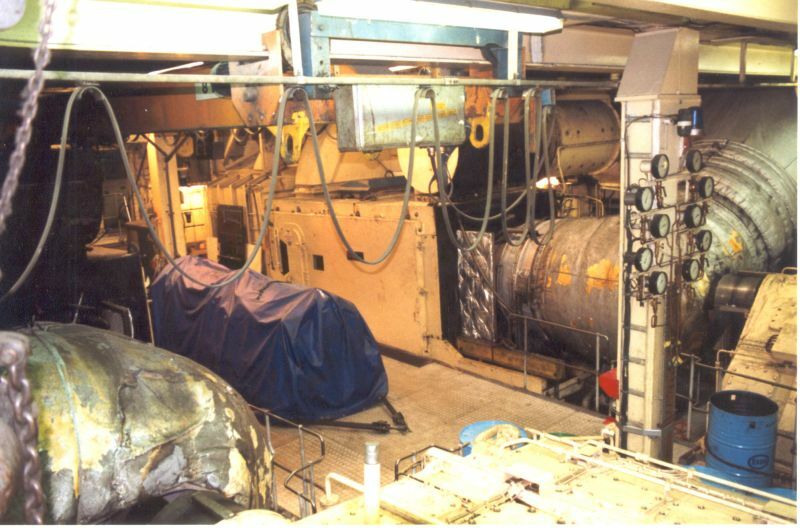 This entry was posted in Antarctic, Arctic, Budget, icebreaker, Shipbuilding by Chuck Hill. Bookmark the permalink. If the Russians and Chinese think it is a good idea, the writing is on the hull, I mean wall. The difference is that with the exception of nuclear-powered icebreakers, large icebreaking vessels built in Russia or China tend to cost about 100-200 million dollars. When a ship does not come with a ten-figure price tag, making a decision to build one is a lot easier. Nice summary of the difficulties ahead. Unfortunately, to me that opinion piece demonstrates that there is a segment of people that either haven’t been listening to, haven’t understood, or are unconvinced by the efforts the Coast Guard has already made to explain why the nation needs ice breakers. I am not saying that the author falls into that segment because the opinion piece might be his way of calling out the problem. But what would the author have the Coast Guard do that the Coast Guard isn’t already doing? While the Commandant has been referring repeatedly to a study that said we need three heavy and three medium icebreakers (or two other combinations depending on your assumptions), there actually is no apparent consensus. If we are talking about funding in FY2020, that is an awful long way away. Polar Star probably will not even survive operationally until 2024 when the new breaker might be finished. If having more icebreakers is important, why wait.? And when/if it is funded, will the money be added to the CG budget or will it use some combination of funds from other agency budgets without increasing the CG budget. If it does go into the CG budget, will it all go into a single year, or will it be spread out? Chuck, 2020 would be the funding date, two years early, not much of an improvement and what do we do in the meantime? I say if the hull is in good shape scoop Polar Sea out like a melon and start from there, new machinery and controls, new arrangements and of course the sufficient lab space. That might buy us 15 years or so while Congress talks. In Finland, a 1950s era icebreaker was completely rebuilt in 1978-1979. After the refit, the icebreaker was practically a new ship with only web frames, bottom plating, forepeak, propulsion motors, propeller shafts and propellers remaining from the original vessel. The cost of the refit was about 60% of the price of a new icebreaker. Today, this vessel the oldest icebreaker in the world in active service. Although it has been done before on other icebreakers, “scooping Polar Sea out like a melon” does not sound like economically feasible solution to me. I admit I haven’t seen the general arrangement of the Polar class, but I don’t think it would be possible to fit a sufficiently powerful electric motor (say, 8-10 MW) in place of each of the gas turbines and then nearly triple the rating of the diesel-electric power plant. You’ll also need space for the new AC/AC propulsion drives and switchboards. Is there enough space to do all this without moving bulkheads etc.? Given the excellent power-to-weight ratio of the gas turbines, it wouldn’t be like fitting a modern Japanese engine under the bonnet of an old Cadillac. Heck, is there even enough displacement to do such swap? As to Tups’ question, is there sufficient room in the hull to re-engine the Polar Sea? I think the answer is probably yes. Gas turbines are compact and light weight, but they require a lot of interior volume for air and exhaust gas handling. The ships currently have six diesels and three gas turbines. If we use the same diesel engines as currently on the National Security Cutters they are almost 10,000 HP each. Only two would be necessary to replace the existing six diesels, three would approximate the power of the Healey and six would come close to the sustained output of the three gas turbines. My original thought was to retain the existing propulsion motor, assuming we could use them with fixed pitch propellers and provide both forward and reverse. That would have provided 18,000 HP which would still be 50% more powerful than Wind class breakers and almost as much power as the Glacier. Another alternative would be to retain a gas turbine only on the center shaft (with or without the Controlable pitch prop) the ship would still have more power than the Healey. So, in the end there might not be that much space, but without any drawings or photographs you can’t say for sure. Perhaps using the existing motors would be a good idea. Perhaps you wouldn’t have to remove the gas turbines at all and just swap the diesel engines. The continued weakness of this class seems to be its controllable pitch props. If there is a way to go to fixed pitch props and retain the gas turbines, I would have no problem with that, but as long as we have CP screws, it appears these ships will be unreliable and expensive to maintain. @Chuck, it’s probably not possible to use gas turbines with FPPs and retrofitting “functioning” CPP system could be quite expensive. That’s why I would go for “full diesel-electric”. That was my feeling as well. I found some old articles that shed some light to how the propulsion system in the Polar-class icebreakers is arranged. Previously, I thought that the icebreakers had twin input/single output gearbox on each shaft and both the gas turbine and the electric propulsion motor were coupled to the gearbox with clutches. However, now I found out that only the gas turbines utilize the gearboxes, and the electric propulsion motors are directly coupled to the propeller shaft abaft of the gearbox. This makes sense, considering the high rotating speed of the gas turbines. Anyway, I think this rules out using the existing gearbox for high speed propulsion motors (which are smaller and lighter) in a propulsion system refit, so the electric motors must be directly coupled to the shaftlines and turn at the same speed as the propellers. Of course, one could swap the gearbox, but I don’t think that makes much sense – it would have to be custom-made. The existing electric motors are probably direct current considering the age of the vessel, but the new power plant would of course have to be a modern AC/AC system. DC may be coming back in the future, but only for low-power installations. I obviously couldn’t find the general arrangement plan – I don’t think it has ever been published – but judging from some of the sketches, the engine rooms are very cramped. However, the Alco 16V-251F’s look rather big, so perhaps replacing them with modern Caterpillars or MTUs with better power-to-weight and power-to-size ratios could be done. The remaining space, if any, would then be used for the AC propulsion motor drives etc. It would be a nice engineering exercise to make a study for re-engining the USCGC Polar Sea, but unfortunately with the material available online it’s not possible, so we can only speculate. And Huntington Ingalls (HII) is already asking for the work. No doubt there will be other bidders, but HII has serious leverage in Congress that might help get the project funded. HEALY probably doesn’t get built without Ingalls’ political muscle, but HII has more than enough work to keep it happy. I’d really like someone like Vigor to get at least some of this work, especially the heavies. I would want Vigor also. Since they would also be overhauling and modernizing it afterwards also. I just think they would take more pride and care in building it then a company that just builds it and that’s it. I also agree with the sentiments expressed here that how many icebreakers Russia has, has little or no bearing on how many the Coast Guard needs. More to the point, unless we start building new icebreakers soon, the CG will be down to a single large icebreaker (Healey), because we will be lucky if Polar Star continues to function until a new breaker is built. Weren’t we building a ship every 4-7 days during the peak of WWII? Then why does it take till 2020 which was suppose to be 2024. Russia has 40 with 11 more being built and China is infested with them. What’s up with that? China has one ship in operation, a converted Arctic cargo ship originally built in Ukraine. The construction of the new polar research vessel that they announced in 2012 or so has not started yet. Thus, I would not call it an infestation. As for Russia, they do have a large number of icebreakers, but there are various different types and not all of them are comparable the USCG fleet. Still, they do have six nuclear-powered icebreakers in operation and two under construction, and about two dozen medium-to-large diesel-powered ones, although some of them are built to serve oil fields like Edison Chouest’s Aiviq. I think it is great that the POTUS has finally … perceives a need for icebreakers. This past week Chinese Warships passed 12 miles off the coast of Alaska after training ops with the Russians. Lots of interest in the Arctic. USCGC Healy just reached the North Pole unassisted, becoming the first U.S. surface vessel to do so without requiring assistance from other icebreakers. Not bad for a “medium” icebreaker that can break “only” 4.5 feet of ice. As someone once said, she’s a significantly overperforming vessel. As a lowly ET2 even I understand the significance of having more Ice Breakers! Besides the Redundancy of being able to save ourselves, we are charged with protecting commerce and natural resources. Both of which come into play with the seas opening up. Not to exclude the SAR aspect with having more people travelling up north for work and play. With the above noted, It’s a shame that it takes JUST the national defense aspect of it to get the attention of the budgeters involved. With the cost of ONE aircraft Carrier being over $12 Billion, I would hope someone could at least start to come up with a good place to funnel a teeny bit of money toward at least researching an ice breaker. Anyway, I wonder if they want just a second Mackinaw or something more… serious. Here’s something I also wondered in the comments of that article. The Wind-class icebreakers had a displacement of 5,900 metric tons and a shaft power of 12,000 hp. The Glacier was slightly larger at 8,565 tons and 21,000 shp. Polar Star and Polar Sea, the most powerful non-nuclear icebreakers in the world, are of course 13,842 tons and 75,000 shp. Apparently, these are all classified as heavy icebreakers by Vice Admiral Michel. Why is the Healy, being more capable than all but the Polar class, referred to as a medium icebreaker despite having a displacement of 16,000 tons and 30,000 shp? One should not forget that this year the Healy made it to the North Pole without assistance and is generally considered to be a highly capable icebreaker. It should not be belittled. The USCG “Major icebreakers of the world” chart classifies icebreakers into light, medium and heavy based on their propulsion power alone. According to this scheme, the Wind class would be considered light icebreakers and even the Glacier would be barely a medium icebreaker (>20,000 hp). Anyway, I agree with the general message of the article: more icebreakers are needed. Yes, by current definitions, we never had any heavy icebreakers until the Polar Class were built, and yet we managed to resupply our Antarctic stations and support construction of the DEW Line. I think the comparisons with the number of Russian icebreakers may also be deceptive. Some times I think it might be better if we tried building some medium icebreakers first before launching into a new class of heavy icebreakers. We might learn some lessons at a lower cost that might later be applied to the heavy icebreakers. @Chuck, what do you mean with the comparison to Russian icebreakers being deceptive? However, it could be pretty difficult to convince the politicians and the general public that it’s better to build a medium icebreaker first even if it was more capable than the current heavy icebreakers. It think when we say the Russians have 80 icebreakers and we have only two it is a little deceptive because the 80 figure includes I believe all their domestic icebreakers some of which are similar to the Coast Guard’s icebreaking buoy tenders. They have a much greater need for icebreakers than the US. If we want to compare polar capabilities the Russians still out number the US considerably, but its not 40 to 1. Cost for icebreaker is probably much like other ships, all else being equal, the cost is likely to be approximately proportional to displacement, so presumably a 10,000 ton medium icebreaker should cost about half that of a 20,000 ton heavy icebreaker. As for cost, you could generally say that 50% of the price depends on the size (displacement) and 50% on the propulsion power. However, I’m not sure if this applies to US-built icebreakers because the price of main components such as large diesel engines and propulsion units should vary that much globally. Tups, thanks, so the Russians will have 24 medium and heavy icebreakers. 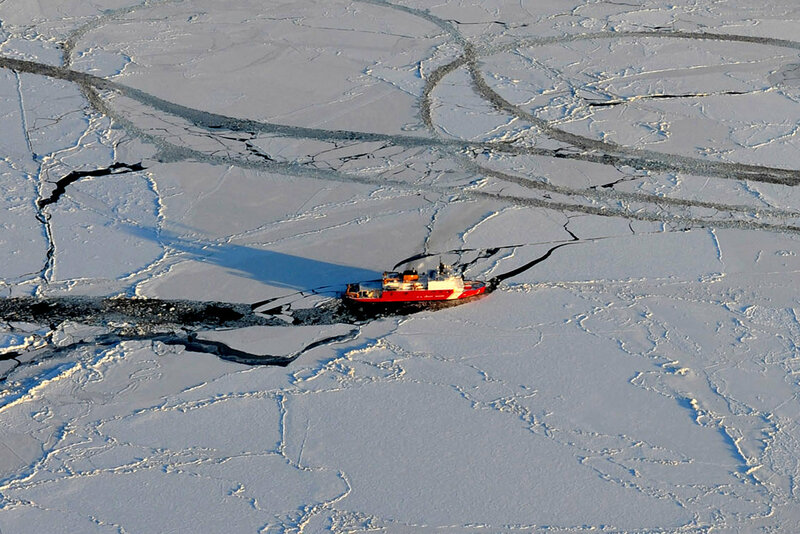 The US with its much shorter Arctic Coastline would do well to have a quarter of this number, which is the six icebreakers we have been saying we need. three medium, three heavy. @Chuck, whether or not six icebreakers is sufficient depends on what’s happening up there in the future. The Russian icebreakers are not evenly scattered along the Northern coastline. Most large non-nuclear icebreakers of Russia are stationed in the Gulf of Finland or in the Far East, and the Northern Sea Route is supported mainly by the four remaining Arktika-class nuclear-powered icebreakers especially now that both Taymyr-class icebreakers are operating in the Gulf of Ob where there is now a lot of activity and the water is too shallow for bigger icebreakers. While new icebreakers (both nuclear and diesel-electric) will enter service in the near future, some of the existing icebreakers are on their last legs and will certainly be retired in the near future. For example, I have heard rumors that the early 70s era Ermak-class icebreakers are not running with all nine main engines anymore. So, in the end the actual “icebreaker gap” with Russia might not be as large as sometimes is reported – it’s not like you’d be running to those red-and-black monsters everywhere you go. Deploying two icebreakers (medium or heavy) off Alaska would probably provide the same amount of “presence”. Of course, the USCG relies on icebreakers for the McMurdo break-in while the Russians use dedicated research/supply ships to support their bases. Of course, the above does not include icebreaking offshore vessels that are generally tied to their dedicated projects (e.g. Sakhalin, Prirazlomnoye, Varandey) and are owned by independent (albeit sometimes state-owned) companies. Still to keep two breakers in the Arctic year round and two seasonally for the McMurdo break in would definitely require six total. Speaking of US icebreakers, where are they towing the Polar Sea? According to the Western Towboat Facebook page, she is headed to Vigor in Portland, OR to be prepped for long term/mothball storage. Was there a date on the photo? @Chuck, the photographs are dated 23rd of November. A comment from the towing company states “Vigor dry dock in Portland to Pull the tail shafts and wheels and seal her up for mothball storage”. I don’t think the Polar Sea is going anywhere soon. USCGC Glacier spent 25 years mothballed in the reserve fleet. If the “aggressive” plan is to start production by 2020, I wonder how long it’ll actually take to build and commission the vessel. Another five years? We are aggressively dragging our heals. 2020 is a delay compared to the plan of just a few years earlier. I’m happy to see the requirements document is coming out soon. As quickly as possible the Coast Guard should put itself in a position of “We are ready to award a contract, we just need the money.” Then our friends in Congress may be able to speed this us a bit. I think there is at least a 50/50 chance Polar Star will not be serviceable until even 2020. I, for one, eagerly await the requirements document for the new USCG icebreaker. However, I hope it’s going to be a public document and not something confidential that is revealed only to “potential contractors” in those “one-on-one meetings”. I hope you are right, but if there are defense upgades planned in the design of the ship, even if they are fitted for but not with, there may be reasons to minimize public disclosure. But even then it should be possible to produce an unclass detailed summary document that would help to sell the program. True. Since I work with civilian ships that rarely if ever have truly confidential features, I often forget that the USCG does not necessarily want to tell everything about their ships to the general public. However, regardless, I hope there’ll be some transparency in the process. I still doubt a polar icebreaker would cost a billion dollars to build in the US, but if the USCG selects a shipyard without a public tendering process and signs a contract in secrecy without telling what they’re buying, that might as well be the final price regardless of the design. After all, everyone “knows” that a large icebreaker should have a ten-figure price tag. Also, I sincerely hope the icebreaker program won’t end up like the polar icebreaker and pretty much every other ship in the Canadian “National Shipbuilding Procurement Strategy”, delayed and overly expensive. Unless the USCG decides to build the first Western nuclear-powered icebreaker, a stealth icebreaker along the lines of DDG-1000 or something like that, the design should be a combination of existing technology, meaning that there shouldn’t be much uncertainties regarding about the design. Of course, in the end it’s up to the politicians to give money for the USCG to actually order the icebreaker. While I don’t wish anything bad to happen to anyone or anything, man or machine, I hope that there would be some kind of “wake-up call” that would make everyone realize that replacing the Polar-class icebreakers is long overdue. The early failure of the Polar Sea should be an object lesson. S**t happens. Polar Star has become a single point of failure in our entire polar program. If it fails catastrophically, how long will it take to fix the problem. Being ready to solicit a bid does not mean you can’t continuously update and refine the document until it is actually used. I would suspect the basic requirements document could be unclassified and unrestricted with perhaps a classified annex. Calling the 2020 projected funding an “acceleration” because it is earlier than a never announced intention to delay funding four year to 2022, when all published data had indicated funding by 2018 is the very definition of mendacity. Not that I think the President intentionally lied, he probably did not know the background, but I believe his staff misled him.